Motorcycle Accidents - McCamley & Branchaud, P.C. 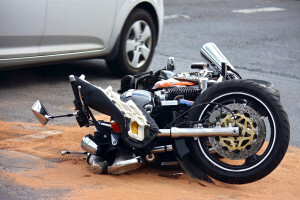 Motorcycle accidents are like other vehicle accidents in some ways, but because of some unique factors inherent in motorcycles and motorcycle riding, the causes of motorcycle accidents, the injuries resulting from motorcycle accidents, and the liability issues surrounding motorcycle accidents can be very different from car accidents. If you have been in a motorcycle accident in Rutland Vermont, please call us for a consultation today.